If your company is based in the US but has a few international employees, we can enable the 'International Mode' for your account. If you're on this page, chances are we've already enabled this for you. At the bottom of the window, change the International setting to "Yes." Keep in mind that this option will only be available to you if the employee does not have a bank account connected in their account. Alternatively, the employee can set themselves to International Mode. 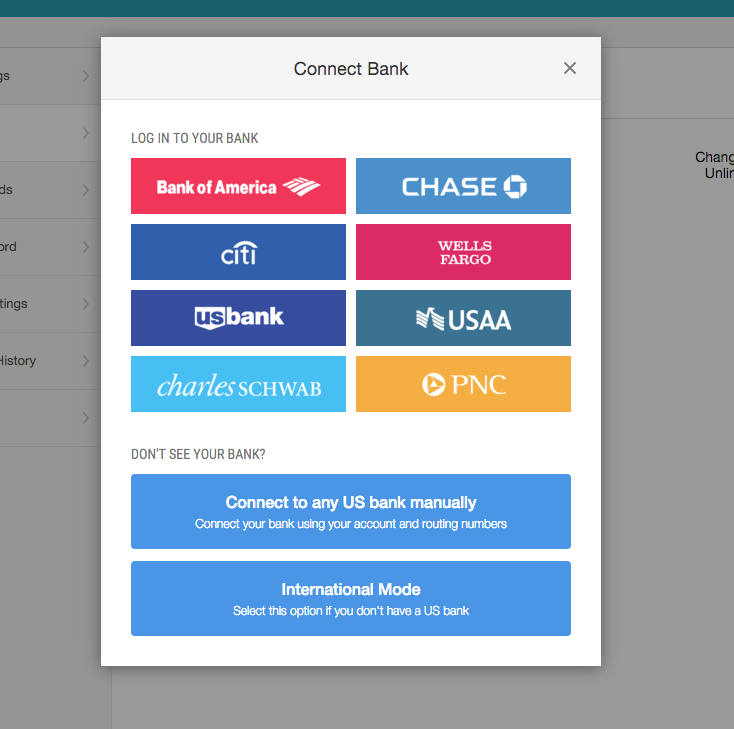 In the place where an employee would otherwise connect their US bank account, they can select "International Mode" from the bottom. Don't have a United States bank account? Any employee who enables International Mode will not be reimbursed through Abacus. So you'll have to arrange their reimbursement directly. It may be easiest to look at the total amount of expenses in Abacus once a month, and then arrange for payment (for example, add the payment to your payroll). 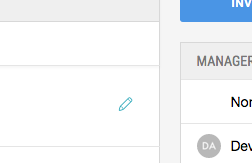 Will 'International Mode' expenses be synced to my accounting software? No. 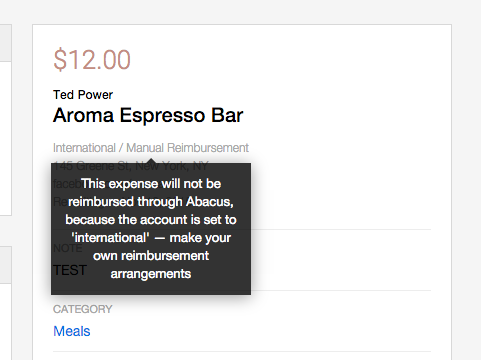 Since no payment processing is occurring, we do not sync reimbursable expenses to your accounting software if they are associated with an employee in International Mode. Although an Admin can turn 'International Mode' on, only the employee is able to turn it off. To do so, the employee will have to go into their personal bank account tab in the Account & Settings page and select 'change' or 'unlink' bank. Once the employee does this, they will be able to connect their US based bank account.